There is a word for it: geis . Geis is that capricious whim, that god-bestowed obligation under which poor humans find themselves behaving foolishly, dangerously, or contrary to their better sense. Geis lies behind most of the mythological tales that have come down to us. It is because the hero is under a geis that circumstances conspire in the magical, mystical, peculiar way they do. A geis is all it takes for a hero to earn his place in legend, but today it will not serve for the hero to earn his place in fiction. Geis is what separates the old tales from modern fictions; it is the obstacle that today's author must overcome when retelling the old legends in modern form. We have no way of knowing when the stories that make up the Mabinogion first began to take on the form we recognise today. They were oral tales, probably medieval in origin (though there are suggestions that some elements could date as far back as the Iron Age), and certainly went through all the variations, elisions, errors in transmission, confusions, and the like that such tales inevitably suffer over the generations. Each of the four "branches" of the Mabinogion reads as if several different legends have been roughly cobbled together, though whether that happened during their long pre-history or in the process of being written down, I could not say. Versions of the stories were first written down in the 14th century (primarily in the White Book of Rhydderch and the Red Book of Hergest), though the name "Mabinogion" (probably the result of a transcription error) was only coined at the end of the 18th century, and the compilation as we have it today (the four branches and several other tales) was produced by Lady Charlotte Guest in the middle of the 19th century. Guest's compilation seems to have been part of that romantic, somewhat artificial mid-Victorian revival of Celticness that also saw the re-invention of the Druids and the revival of the Eistedfodds. Once established in their modern form, the tales of the Mabinogion proved popular, and have been mined many times by other writers, most notably by Alan Garner ( The Owl Service , 1967) and Evangeline Walton ( The Virgin and the Swine , 1936, later retitled as The Island of the Mighty , and its sequels). Now there is another endeavour to turn medieval tales into modern fiction. The Welsh publisher, Seren, has commissioned four Welsh novelists to re-imagine each of the four branches. The third and fourth branches, Ronnie's Dream by Niall Griffiths and The Meat Tree by Gwyneth Lewis, are due in October 2010, but for now we have the first two branches, The Ninth Wave by Russell Celyn Jones and White Ravens by Owen Sheers. To call these short novels retellings of the myths would be deceptive. The setting of small rival kingdoms and agrarian societies has been replaced with a post-plenty future in The Ninth Wave and the last days of the Second World War in White Ravens . With this change of setting, both authors have replaced the magical, the fantastic, the outlandish, and the weird with determinedly rationalist explanations for each plot element (in White Ravens , for instance, Bran's Cauldron which can bring the dead back to life but leave them incapable of speech is replaced by a fob watch with the maker's name of Cauldron which stops a bullet but still leaves the wearer too shocked to speak). But this rationalism brings both authors up against the obstacle of geis, for if they are to follow the choreography laid down by the Mabinogion, then there are times when their performers must behave in ways that are decidedly irrational. Interestingly, both authors use the trauma of war, the problem of readjustment to civilian life for a returnee from the front, as one way of getting round the issue of geis. Although not wholly successful (the novels are actually too short to allow a proper accounting for this), such congruence is rather uncanny. One wonders if the wild behaviour in the original stories, emerging as they did in war torn societies, was a reflection of the traumatised behaviour of veterans returning to court. It is clear that both authors were working with fairly strict word lengths. Both books are the same length, around 180 pages, which includes a common introduction by the Seren editor, a three-page synopsis of the branch upon which the novel is based, and an afterword by the author. Which leaves little space for any sort of expansiveness in the novel, especially as both books have to cram in a lot of plot, a fair number of characters, and a timespan of several years. As a result the two authors tend to abbreviate their stories just at the points where we might expect tension or character to be developed, each has a tendency to tell rather than show at certain key points in the plot, and they rather lose control of their stories as they approach a climax which, in the original, becomes ever more supernaturally baroque. Under such constraints, however, these two books manage to be vivid, entertaining, readable, and about as successful as anyone has any right to expect. 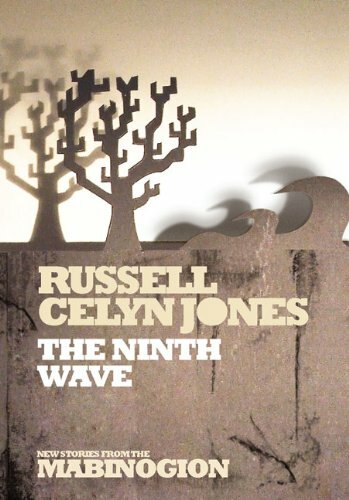 The weaker of the two is The Ninth Wave by Russell Celyn Jones, in part because it is the more ambitious. Jones imagines a future in which the oil has run out, horses are once again the universal mode of transport, and all central authority seems to have broken down in favour of small local fiefdoms, yet it is still an urban landscape of Starbucks coffee shops and Boots the Chemist. While it is an intriguing not to say daring setting, I suspect it needs a little more thought and attention to make it really work. But there is still enough here that would make us suspend our disbelief if the story wasn't so awkward. The main weakness in The Ninth Wave lies, I think, in the nature of the first branch of the Mabinogion. This is the story of Pwyll, a lordling who, in very short order, swaps places with the god of the underworld for a year and shares a bed with the god's wife, kills a rival lord, then kills the suitor of the woman he wants to marry, after which the pace of events slows down somewhat, he marries, has a child, the child disappears, his wife is blamed and punished, then years later the child reappears and Pwyll reigns happily ever after. Now this is hardly the most straightforward sequence of events to render as a coherent, rational narrative. It's all geis, of course, but that doesn't work as well for Jones, and for too much of the novel Pwyll is a listless, oddly inert character, blown every which way by the winds of fortune without once taking a decisive action on his own behalf. Jones is aware of this—at too many points in the narrative he has Pwyll bemoan his own inertia—but it is hard for anyone to take command of their life when they are at the behest of such wild circumstance. Even when he does act decisively, killing Rhiannon's autocratic fiancé and his bodyguards, it is by poison, a strangely impersonal method, and he has left the scene long before the poison actually takes effect. And despite the fact that his position would seem to give him absolute power within his fiefdom, he seems incapable of doing anything to protect his wife when she is falsely condemned and punished. Yet, in part because of this inability to take control, Pwyll becomes a much more interesting character when the novel slows down. The slow disintegration of his marriage is effectively and affectingly done, and in the final part of the book, when he is reunited with his sullen teenage son, Pryderi (who becomes Peredur in Robert Holdstock's Mythago Wood , another of the innumerable descendants of the Mabinogion), there is real power in the characterisation even if the story itself seems to have run its course long before this point. 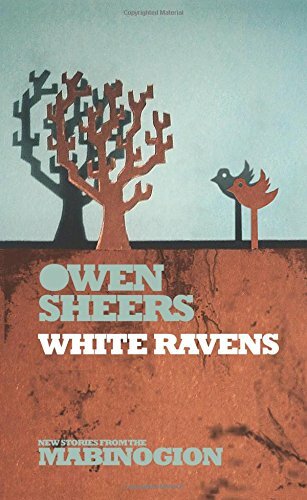 White Ravens is better, largely because Owen Sheers has managed to wrest a more coherent narrative from his source material. Though there is also a sense that he has taken fewer risks than Jones. Certainly those who have read his powerful first novel, Resistance (2007), will recognise the lyrical descriptions of the sheer grinding hardship of life on a remote Welsh farm that are the best parts of this book, as they were of the earlier one. The second branch tells of the marriage of Branwen, sister of Bran the Blessed, King of Britain, and Matholwch, King of Ireland. Her half-brother, Efnisien, is so enraged that he mutilates Matholwch's horses, and in compensation Bran gives Matholwch a magical cauldron. In Ireland, Branwen is ostracised and ill-treated until she sends a message to her brother by a trained starling, prompting Bran to invade and after various stratagems and deceptions just about everyone is killed, including Bran whose head is taken back to Britain as a magical defence against invaders. Branwen dies of a broken heart. In Sheers's version, Matholwch is Matthew, an Irishman who defies his Republican family to join the British army at the start of World War Two. Wounded in battle, he takes a desk job where he is given the task of travelling to Wales to collect raven chicks for the Tower of London from a farmer named Bran. (Sheers clearly had fun finding modern equivalents for the elements of the myth, though easily his most inventive is the association of the head of Bran with the ravens in the Tower of London.) Staying with Bran until the ravens are old enough to be taken from their nest, he falls in love with Bran's sister, Branwen, and the pair impulsively decide to get married. Returning from the wedding ceremony, they find Branwen's other brother, Evan, freshly returned from the front and clearly suffering post-traumatic stress disorder. Enraged at the wedding, Evan maims the horse Matthew had ridden. The couple flee, first to London then to Matthew's native Ireland, but his service with the British army renders Matthew an outcast, and Branwen is especially ill treated. Eventually Branwen puts all her unhappiness into a letter to Bran which is delivered by a Welsh fishing boat called The Starling. Bran and Evan hurry to Ireland, mayhem ensues, and though Matthew recovers, Branwen dies of a broken heart. All of this is set within a contemporary story involving a farm devastated by foot and mouth disease, and brothers who take to sheep rustling, in which we see the evils of one generation visited upon the children of another. Although Sheers has done a good job of fitting the old myth into its modern setting, there are still times when the two clearly don't work together. And the long Irish interlude could have done with a lot more attention paid, in particular, to Branwen's psychological state. Nevertheless, this is a fine novel, and the two books together make for a fascinating re-examination of an enduring set of myths. Lloyd Alexander's wonderful reworking of the Mabinogion in "The Chronicles of Prydain" was many readers' first encounter with fantasy (including mine). Purists may grumble about the changes he made, but those books are always well-worn at any public library.